Fellowship Drive, off Noosaville to Eumundi Rd. 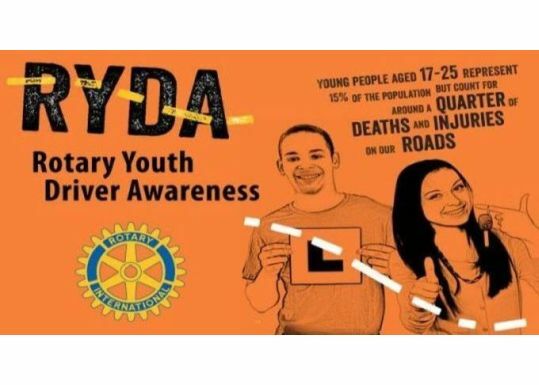 RYDA is the leading provider of road safety education in Australia. Each year over 50,000 senior high school students from more than 650 participating schools take part in this lifesaving program. Nationally over 500,000 students have benefitted from the program since Rotary first launched it some 15 years ago. If you know of any Year 11 or Year 12 students attending schools in our area from Coolum through Noosa to Cooroy who have not yet attended this potential life saving program, please be sure they make it known to their teacher and specially their Year 11/12 events co-ordinator. We keep in touch with all secondary schools in our area and aim to have every student enrol in the program. it has all been worthwhile. ANOTHER LIFE LOST..... Compulsory student driver awareness education may have saved this 17 year old student. RYDA NOOSA is a four club project covering all of Noosa and surrounds.